JYLBERT - LAOS Région Nord. Title : LAOS Région Nord.. Size : 13.6 x 9.5 inches. / 34.5 x 24.2 cm. 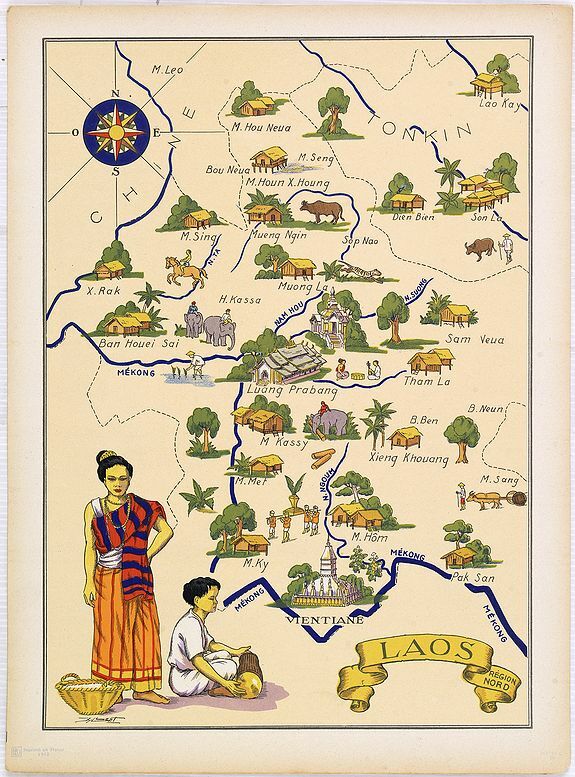 Description :Very decorative, informative map of the northern region of Laos. With a compass rose in upper left corner, the map is filled with buildings, animals, figures and two locals in their typical dress.